The UK and Switzerland are to continue to trade freely within the insurance sector post-Brexit, as both countries inked a deal at the World Economic Forum in Davos . The move follows on from the UK and the USA agreeing a text in December designed to ensure the insurance and reinsurance sectors can still trade freely with one another after Brexit. 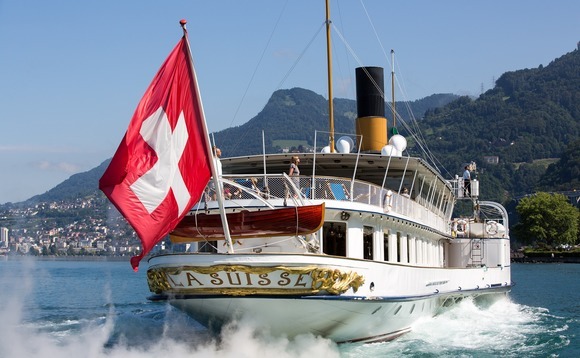 A Reuters report said the deal will allow UK insurance companies and their Swiss counterparts to trade freely between the two jurisdictions - essentially replicating Switzerland's insurance deal with the EU, of which it is not a member but is part of the Single Market. "Links to financial industries like the Swiss insurance market are important for global financial systems and it's vital that trade continues between our two countries so firms have the certainty they need to continue to do business and invest in the UK's bright future," the news agency quoted UK finance minister Hammond as stating. Last month the British government and the Swiss Federal Council approved the transition of a post-Brexit trade agreement for goods and services. This is the first of a series of meetings by UK officials in order to cement closer relationships with global financial markets as the UK prepares for a future outside of the EU. Two more European Union states, Poland and the Czech Republic, have said they are preparing emergency laws to allow Britons to stay to work in their countries legally in the event of a no-deal Brexit. The Czechs say their draft law will mean the estimated 8,000 Britons living in the country are exempt from normal immigration laws until the end of the December 2020. The Polish government is drafting a similar law which will give the estimated 6,000 Britons in the country a year without having to change their status to immigrants from a third country. The draft laws come after the authorities in Germany, France, Italy, Spain and the Netherlands sought to give last-minute assurances to anxious British nationals.